MPS offer a tailored property styling service. Our packages will ensure you maximise your sale price. The MPS team has a common sense approach, styling to suit the targeted buyer. We consider the demographic target market, marketability & of course the key features of your property. Jim's Interior Design is Australia's first franchised home staging business. We specialise in affordable, accessible property styling services for sale. Not only do our professional stylists assist you to stage your home for sale, we can also take the stress out of selling by acting as a one stop shop for other Jim's services. Take advantage of our Style Now, Pay Later package to ensure you get the best result when selling your home. 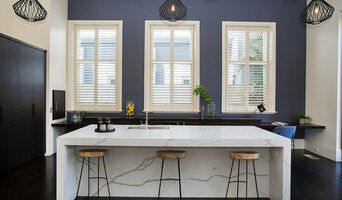 Real Estate Busy Bodies - Helps you prepare your home for sale after the interior decorator has given valuable advice that will increase the saleability of your home, if you lack the time or patience or inclination we take over and take hold of the reigns to get the job done for you. At House of Attractions, we work hard to create the WOW factor for every property we style, whether it’s for a builder, developer or private home owner. Because no home is the same, we’ll view each property first (FREE of charge for vendors) and propose unique styling techniques and suitable furnishings to bring out that property’s full potential. We offer a range of customisable services and flexible packages that make the process of styling your home as easy and stress-free as possible for you. Our experienced stylists are professionals who will work with you with creativity, integrity and utmost respect for your home. And we’ll try to work within your budget to do what we can to elevate the house to a desirable home with carefully selected furnishings.